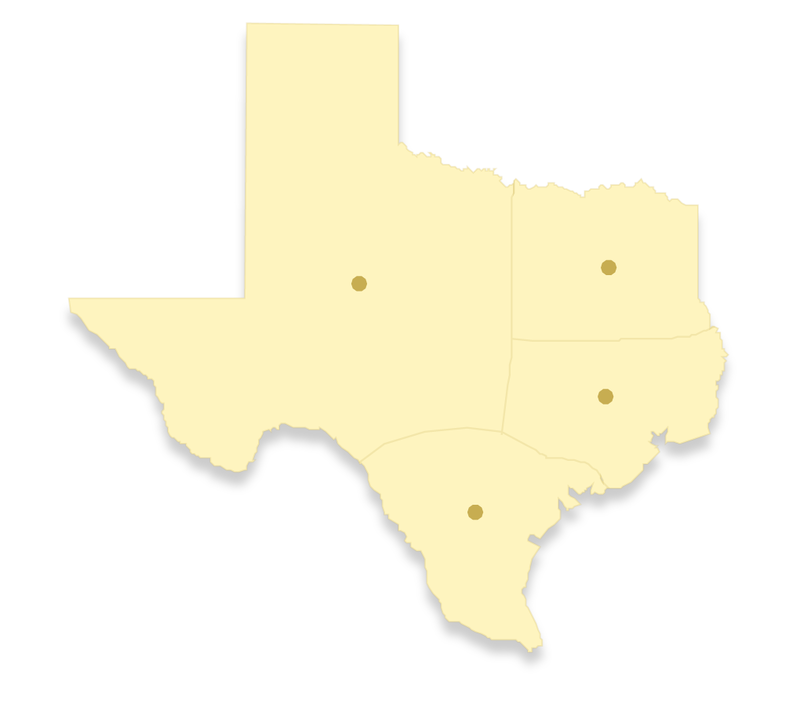 The Texas section of the Encyclopedia of Southern Jewish Communities has been generously underwritten by the Texas Jewish Historical Society, in addition to Humanities Texas. Jews have been present in Texas since the earliest days of Anglo settlement in the area. Adolphus Sterne, who had been raised Jewish but later became a Christian, came to the Mexican state of Texas in 1824. A German immigrant, Sterne settled in Nacogdoches in east Texas. There, Sterne took part in the ill-fated Fredonian Rebellion in 1826, which sought to declare an independent state from Mexico. When Texas won its independence a decade later, Sterne served in the Republic’s newly formed congress. There were a handful of other early Jews who helped to shape the republic and later the state of Texas. A few, like Albert Moses Levy and David Kokernot, fought for Texas independence. Half-brothers Jacob and Phineas DeCordova worked to attract European immigrants to the republic as part of their land business. Jacob later laid out the town of Waco in 1848, selling plots of land to new settlers. Most of these early Texas Jews had a tenuous connection to the Jewish religion and made little effort to establish Jewish institutions or religious practices in the state. Organized Jewish life in Texas did not begin until 1854, when a group of Jews in Houston bought land for a cemetery and later started a Hebrew Benevolent Association. In 1859, 32 men established Beth Israel, the state’s first Jewish congregation. In the decades after the Civil War, congregations were founded in Galveston (1868), Jefferson (1873), Dallas (1874), San Antonio (1874), Austin (1876), Waco (1879), Hempstead (1880), Gainesville (1881), Texarkana (1885), Brenham (1885), Tyler (1887), Marshall (1887), Fort Worth (1892), Victoria (1894), Beaumont (1895), El Paso (1898), Corsicana (1898), and Greenville (1899). Most of these early Jewish communities were in the eastern part of the state, as railroads connected scattered settlements, transforming them into thriving market towns. By the second half of the 19th century, Jewish immigrants were settling in these towns opening retail and wholesale businesses. In the case of the Sanger brothers, they followed the path of the Houston and Texas Central Railroad. As the tracks were built north of Houston, the Sangers opened a store in each town while it was the terminus. Between 1865 and 1873, the Sangers opened stores in thirteen different towns, leaving their mark in both Waco and Dallas where members of the family built successful department stores. Many other Texas Jews established successful department and clothing stores across the state. In 1907 in Dallas, Herbert Marcus, Al Neiman, and Carrie Marcus Neiman opened Neiman-Marcus, which later grew into a national institution of luxury and opulence. By the turn of the 20th century, about 15,000 Jews lived in the state, mostly centered in the area between Houston and Dallas. Jewish merchants and their families continued to settle in towns around the state in the early 20th century. Jews established congregations in Palestine (1901), Mexia (1904), Navasota (1904), Hallettsville (1904), Marlin (1904), Orange (1909), Lockhart (1910), Bryan (1912), Wharton (1913), San Angelo (1913), Amarillo (1913), Wichita Falls (1915), Port Arthur (1922), and Corpus Christi (1928). Many of these congregations were short-lived, and only a few still existed in the 21st century. From 1907 to 1914, 10,000 Jewish immigrants came through the port of Galveston as part of an organized effort to redistribute Jews more evenly throughout the country. While this represented only a little over 1% of the total number of Jewish immigrants who came to the U.S. during these years, more of them settled in Texas than in any other state. Many small Jewish communities flourished due to these “Galveston Jews.” Rabbi Henry Cohen, who served Congregation B’nai Israel in Galveston for 64 years, was the local coordinator of the effort. Cohen was active in rebuilding efforts after a hurricane decimated the island in 1900. He later became involved in state prison reform. Cohen was just one of a number of prominent Texas rabbis who were active in the larger community. Once oil was discovered in the state, new communities sprouted up in both east and west Texas. The members of new Jewish congregations in Baytown (1928), Breckenridge (1929), Kilgore (1935), and Odessa (1945) were closely linked to the burgeoning oil industry. Jewish settlement also grew along the Mexico border during the interwar years. Jews established congregations in Mercedes (1927), Brownsville (1931), McAllen (1948), and Harlingen (1948). By the time of World War II, about 50,000 Jews lived in Texas. While most lived in the larger cities like Houston, Dallas, and San Antonio, Jews also established vibrant communities in most every corner of the state. Jews founded congregations in Lubbock (1934), Abilene (1941), and Sherman (1950s). In cities large and small Jews have made significant contributions to civic life in Texas. In Houston, real estate developer Ben Taub helped create the city’s word-class medical center and donated money for a public charity hospital that still bears his name. Julius Schepps and Fred Florence were leaders of the Dallas business community and helped to bring the Texas Centennial Celebration to the city in 1936. A section of Interstate 45 in Dallas was named for Schepps to honor his many contributions to the city. Several Jews have served in elected office. Jews were elected mayor in 35 different Texas municipalities, ranging from big cities like Dallas and Austin to small towns like Lockhart and Schulenberg. Michael Seeligson was elected mayor of Galveston in 1853. Four other Jews have served as mayor of the island city. In 2009, Joe Straus of San Antonio became Speaker of the Texas House of Representatives. United States Congressman Martin Frost and Robert Strauss, who spent several years as head of the Democratic National Committee, made their mark on national politics. The Texas Jewish community has flourished in recent decades, growing from 60,000 people in 1960 to 131,000 in 2003. The booming sunbelt cities of Dallas, Houston, and Austin have each seen their Jewish population increase significantly. In Austin, Michael Dell helped to create a high-tech renaissance in the capitol city with his computer company. Dell and his wife Susan also donated land for a Jewish campus to house many of the institutions of the Austin Jewish community, which increased from 5,000 Jews in 1990 to an estimated 18,000 in 2010. While Austin has grown, smaller cities and towns have experienced a decline in their Jewish populations. Congregations have closed in Wharton, Laredo, and Corsicana, while two congregations in Corpus Christi have merged due to declining numbers. Both of these demographic trends will likely continue as Texas emerges as a center of Jewish life in America during the 21st century.